Hear about travel to Paris, France as the Amateur Traveler talks to Annie Sargant and Elyse Riven from JoinUsInFrance.com. Annie and Elyse do a wonderful podcast about France and guide us through a city they love. This episode gives you an overview of Paris. We talk about staying in an apartment in one of the Paris Arrondissements and when you should come as well as how to get around and what to see first. We start in a bakery and head to the center of Paris, the Seine and the Ile de la Cité with the magnificent Notre Dame as well as the beautiful Sainte-Chapelle. Take some time to just enjoy the views of the river and the banks of this oldest part of the city. We discuss our 3 favorite art museums in Paris: Musée D’orsay, l’Orangerie and of course the massive Louvre. Go to the Orsay for the impressionists and for a museum of a manageable size. Go to the Orangerie to see the Water Lilies in a building designed by the artist Monet. 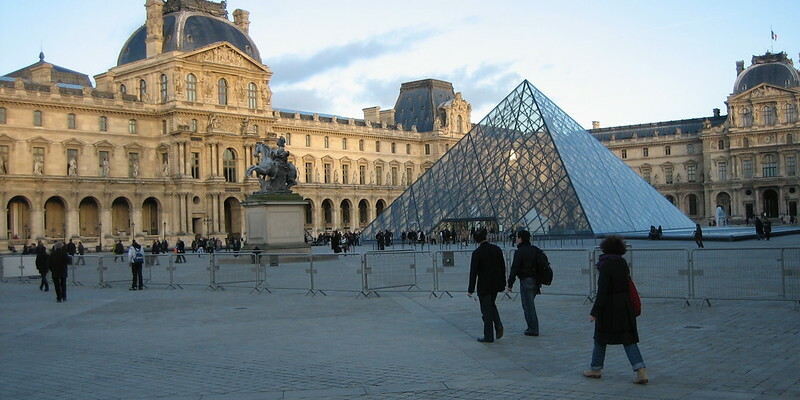 Go to the Louvre to see a vast collection of art from all over the world including one of the finest collections of Egyptian art, an excellent statue collection and the mostly disappointing Mona Lisa. Honorable mentions are made of the Rodin Museum, the Cluny and the Centre Pompidou. Paris is more than just churches and art museums. Take the time to explore the city on foot. We talk about expensive shopping streets and Annie would recommend some of the open air markets and Elyse the square in front of the Centre Pompidou. We head up to the neighborhood of Montmartre with its tourist neighborhoods, French film stars, quiet back streets and views of the city. Annie and Elyse give you the magic words that will give you better service in any shop in Paris. Excellent podcast. I sent an email to Annie Sargent asking if they would invite you on their podcast as a guest. 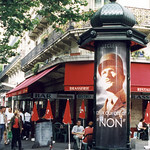 I’d love to hear your views on Paris – or elsewhere in France – from the standpoint as an amateur photographer. I plan to travel to France in 2015 on a photo safari. Thanks again.